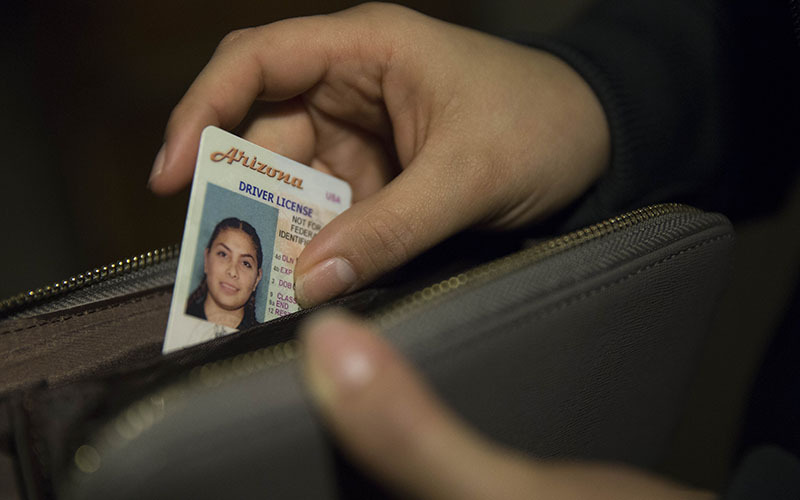 PHOENIX- After writing messages of concerns to legislators, immigrants in Phoenix face their first legislative challenge: a bill that could potentially limit undocumented immigrants’ eligibility to obtain a Phoenix secondary municipal access card. 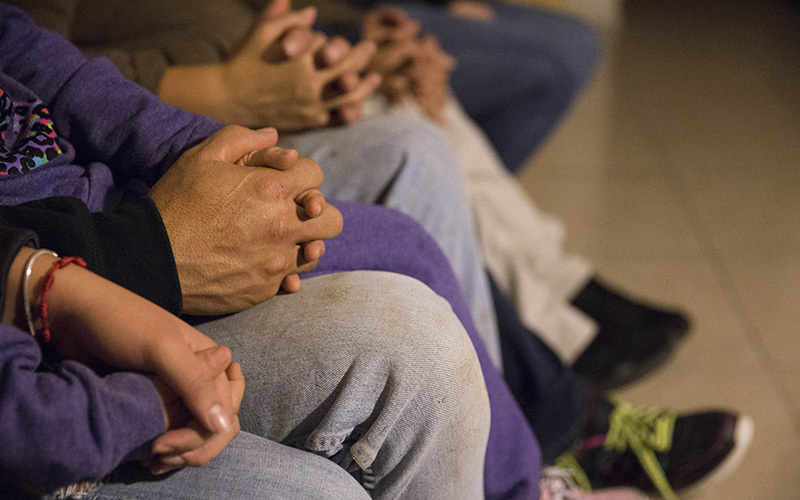 Triggered by President Donald J. Trump’s promise of mass deportations, immigration advocates and leaders took local action on the first day of the legislative session. Led by Promise Arizona (PAZ) leader Claudia Faudoa, volunteers delivered 90 postcards at the state capitol — one postcard for each senator and representative. “We wanted to send a message of unity and faith,” Faudoa said. The postcards were made with the help of PAZ Community Navigators. This group of volunteers advocates for immigrants in Phoenix by offering English classes, assisting DACA and citizenship applicants, and organizing community outreach initiatives. Each card had a picture of a family, followed by a handwritten message urging legislators to stop proposing state laws that target immigrants. “Queremos más leyes justas, We want more just laws,” wrote the Melendez family to Rep.Tony Navarrete, D-Phoenix and former Promise Arizona leader. “They need to remember that immigrants are an active part of the community and we (immigrants) should be considered during the legislative session,” said volunteer Marisol Ávila. The Phoenix City Council approved in August a secondary municipal ID card that will be issued in February. By having a secondary identification card, undocumented immigrants will have access to banking services as well as other municipal services. Current requirements for this municipal access card include proof of Phoenix residency, two forms of identification, and a $30 application fee. SB1021 will require applicants to apply for the ID with a primary form of identification, unavailable to undocumented immigrants. Primary identifications include state-issued license, Arizona ID card, Permanent Resident Card, U.S. Certificate of Naturalization or Citizenship, among other documents as listed by the Arizona Motor Vehicle Division. Sen. John Kavanagh-R, Fountain Hills, sponsor of SB1021, claims identity theft is the main driver of the bill. Tim Rafferty of Riders United for a Sovereign America testified in favor of the bill. Faudoa said PAZ will continue reaching out to the community and helping immigrants move forward. This month volunteers made calls to Sen. John McCain, R-Arizona, and Sen. Jeff Flake, R-Arizona, urging them not to support any effort to stop DACA or to separate and deport families. On Saturday PAZ will host a leadership workshop led by Navarrete, who hangs his postcard on his office information board. He said he believes it’s important for organizations such as Promise Arizona to reach out to legislators. The workshop is 8:30 a.m. to 4 p.m. at 701 S. 1st St., in Phoenix. “As a legislator, I’m going to be there,” he said. “In these times of uncertainty, we want the community to be together, and informed,” Faudoa said.